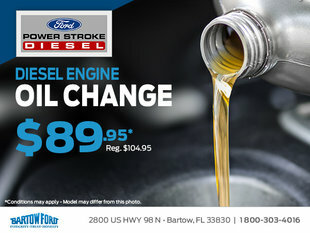 Great Deals at Bartow Ford! Have you been eyeing your ideal Ford vehicle, but can't quite bring yourself to spend the money? 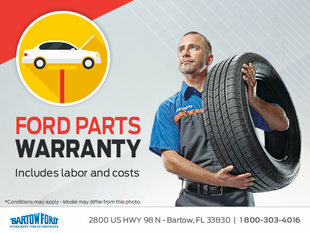 Bartow Ford is here to help! With our monthly special offers on new Ford vehicles, you’re bound to get the one you love at a price you’re willing to pay. We update our new vehicle specials every month, so don’t be surprised to discover an entirely new set of amazing deals from one day to the next! From cashback offers to large bonuses on the truck your business needs, Bartow Ford has all of them. We offer great credit deals to make your dream Ford vehicles even less expensive, and down payments can be as low as zero dollars! There are always exciting deals going on at Bartow Ford, including incredibly low finance and lease rates. Wouldn’t it be great to get your new Ford model with 0% interest rate? Well, it’s always a possibility when shopping at the largest Ford inventory in central Florida. Whatever your budget needs, there is sure to be an offer that will match them perfectly. Visit this page often to never miss out on any of our fantastic offers, or contact us for more information.